Central Oregon does hit some high temps, but more evenings than not, you’re guests may be wishing they’d brought a sweater. Keep them comfortable by installing an outdoor heating system. Unlike portable heaters, an outdoor system can be out of the way and protected from the weather. It is easier to provide heat to everyone at the party when you aren’t struggling with the constraint of the footprint of a heater. 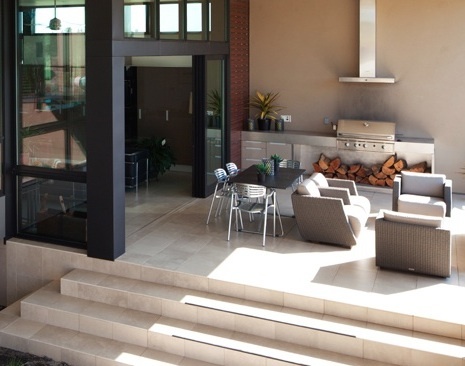 An outdoor kitchen lets you stay and chat with guests while you’re cooking up something delicious. 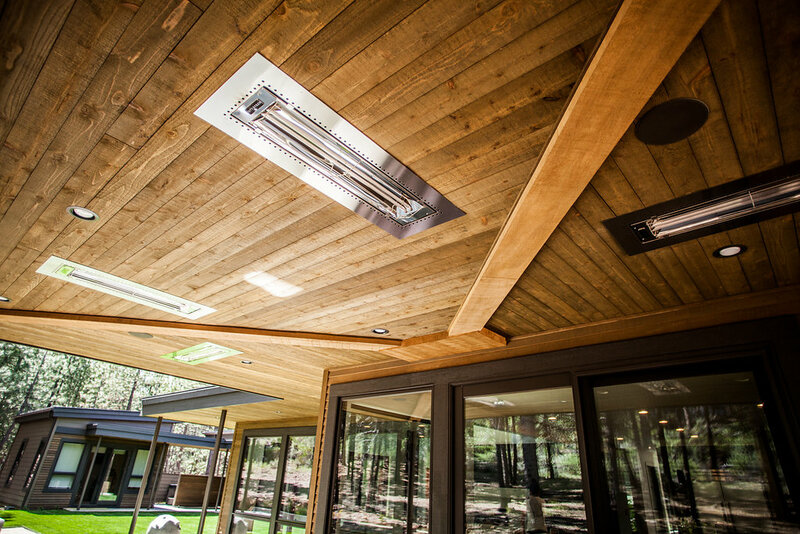 Keeping the party connected to the outdoors lets you enjoy all the wondrous elements of summer, plus adding features like a hood will keep the smoke from filling your home through open windows and doors. You can design a full-service kitchen, or simply upgrade your grill space to include counter space and fridge. You’ll find that you spend much more time enjoying your patio. 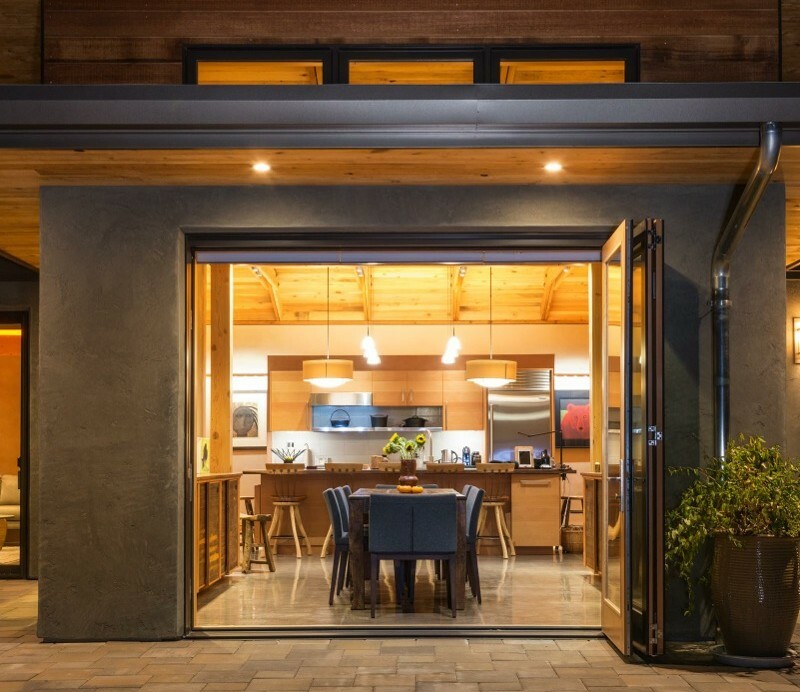 Installing doors that connect your indoor spaces with the outside make each space more usable. Folding (accordion) doors or french doors that fully open are best. They create flow between interior and exterior spaces, allows a wide-open, unobstructed view. These doors create a cozy feeling space for your immediate family, and open and spacious experience during frequent visits from family and friends.